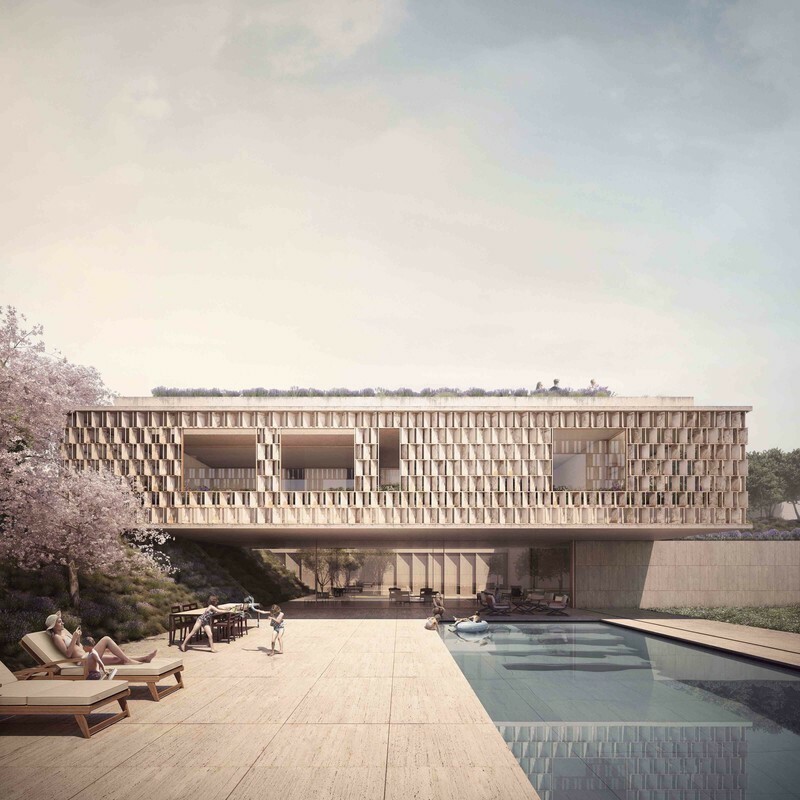 has been used for the first time worldwide as the cantilevered walls of the façade. 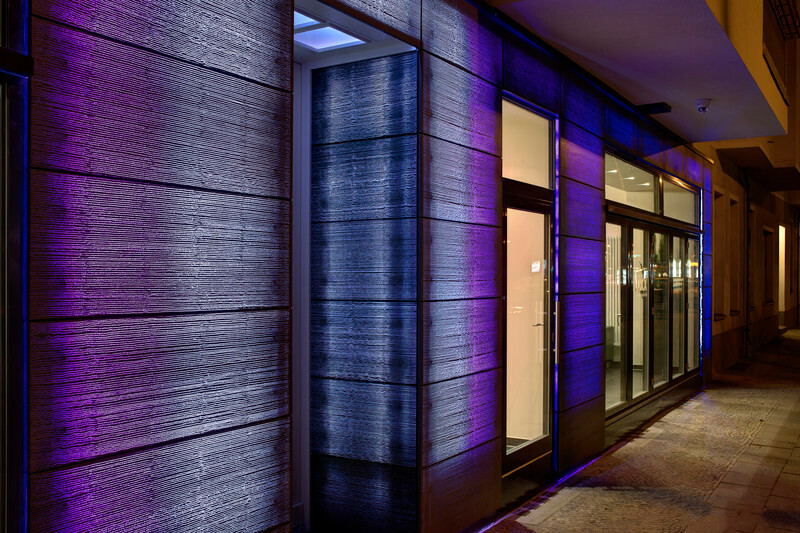 The most common application of translucent concrete is in the form of a curtain wall, where LUCEM concrete panels are mounted in front of LED light sources that illuminates the concrete. 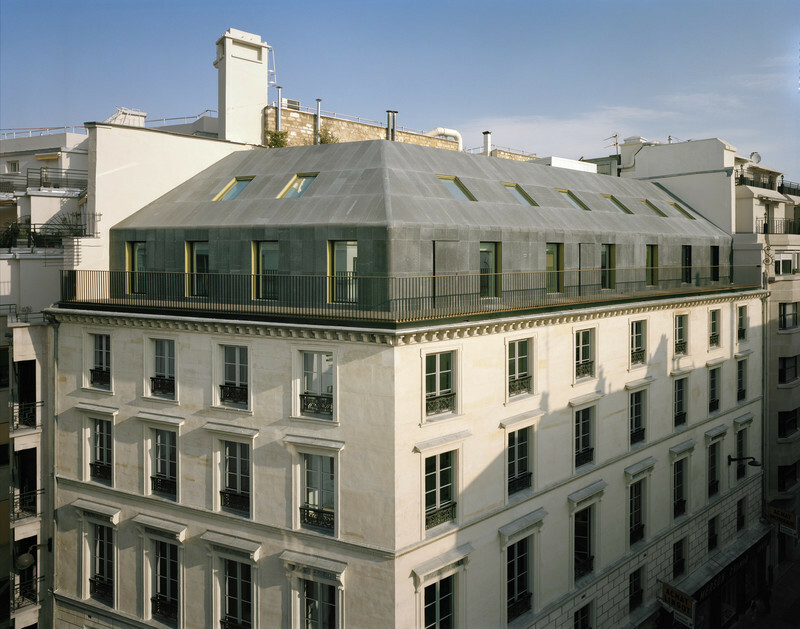 However, the material has even more potential, as the current project shows. 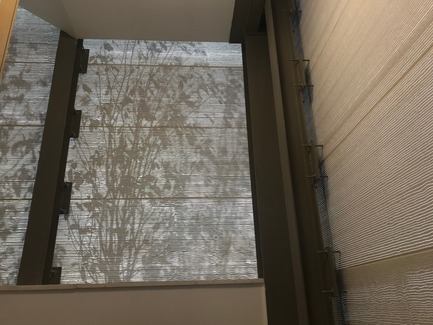 By moving the light source farther away from the concrete panels, there will be space for a very special, dynamic effect: the silhouettes of the people in the building are projected through the translucent concrete panels like a shadow theater. 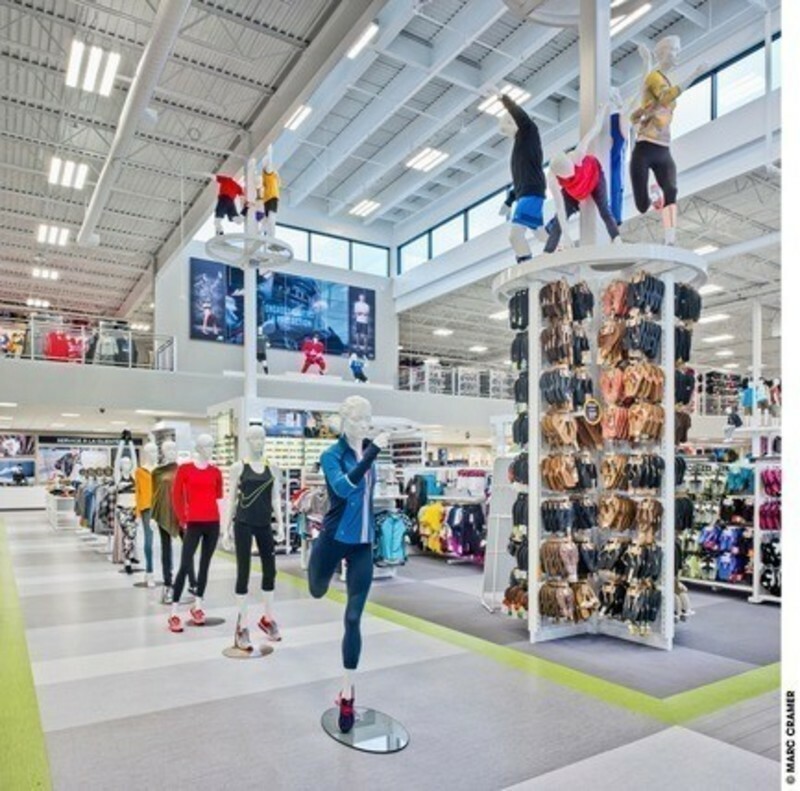 People inside the building experience the change of light and shadow during the day as the sunlight shines through the walls. 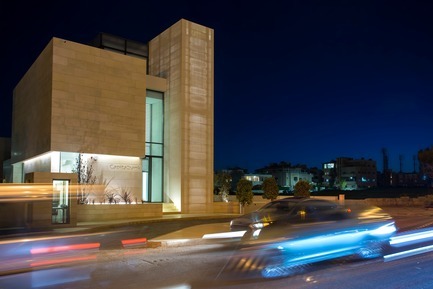 The new Capital Bank VIP branch is located in an elegant residential area in one of the most exclusive neighborhoods of the Jordanian capital Amman: Cairo Street in Abdoun. 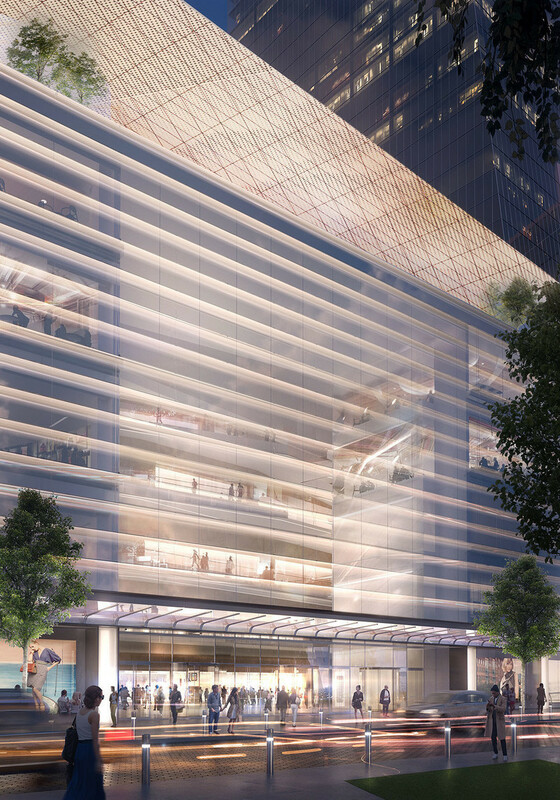 Creating a “boutique bank” experience for VIP customers was the requirement of the design concept of the bank building. 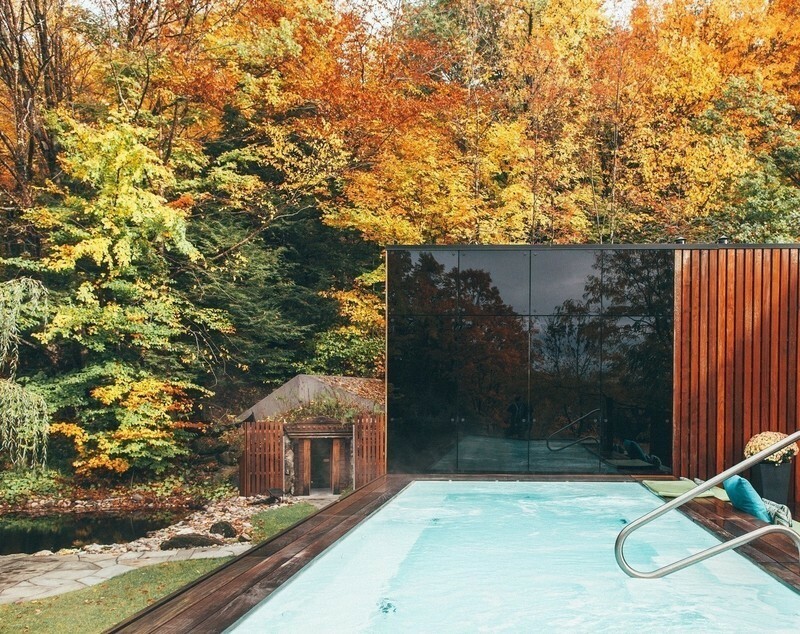 An exceptional atmosphere and inviting design should include nature as the basic theme. 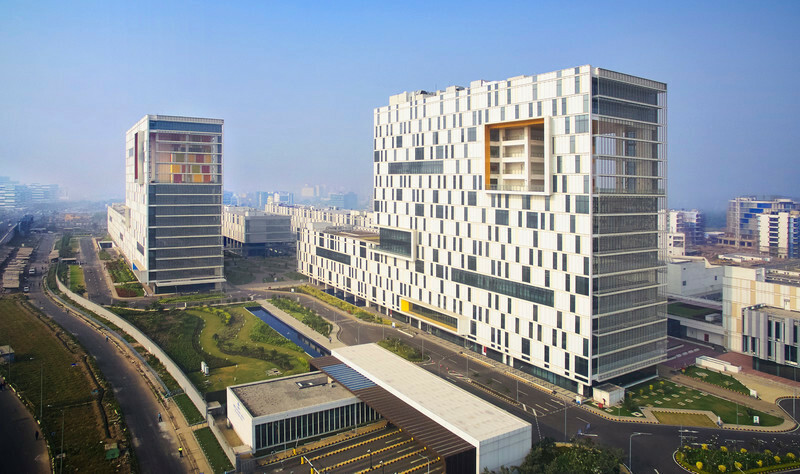 The appearance of the building should be emphasized from the neighboring buildings, but at the same time harmoniously integrated into the overall picture. 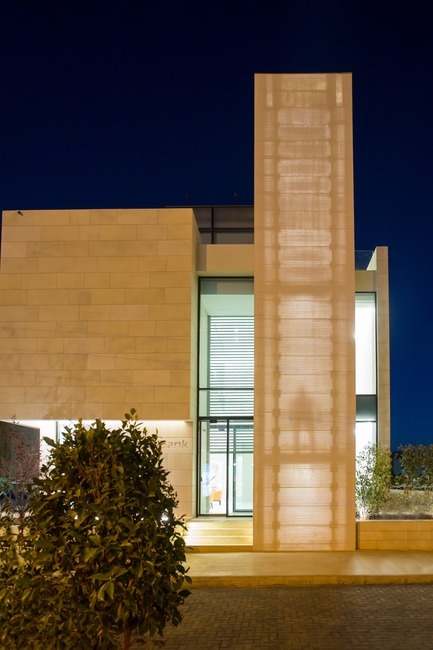 Thus, in line with the local stone architecture, the façade was cladded in Taffouh stone. 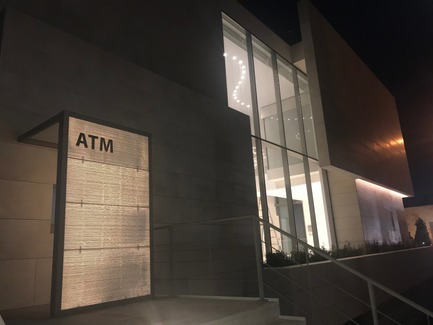 Only minimal openings in the façade protect the privacy of the neighbors as well as the bank employees and customers. 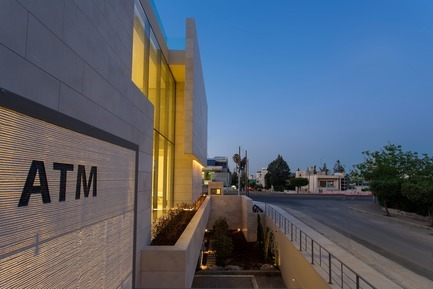 The Paradigm DH team led by the principal architect and managing director Saja Nashashibi, came up with the requirement for a unique appearance using LUCEM translucent concrete panels. 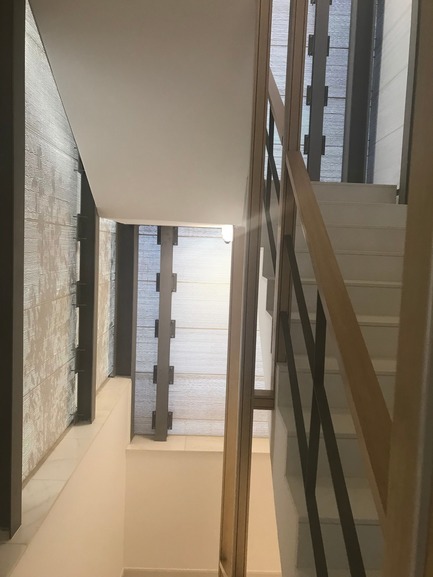 The 14-meter-high stairwell, made of self-supporting LUCEM light-concrete walls, was realized worldwide for the first time and until now uniquely. 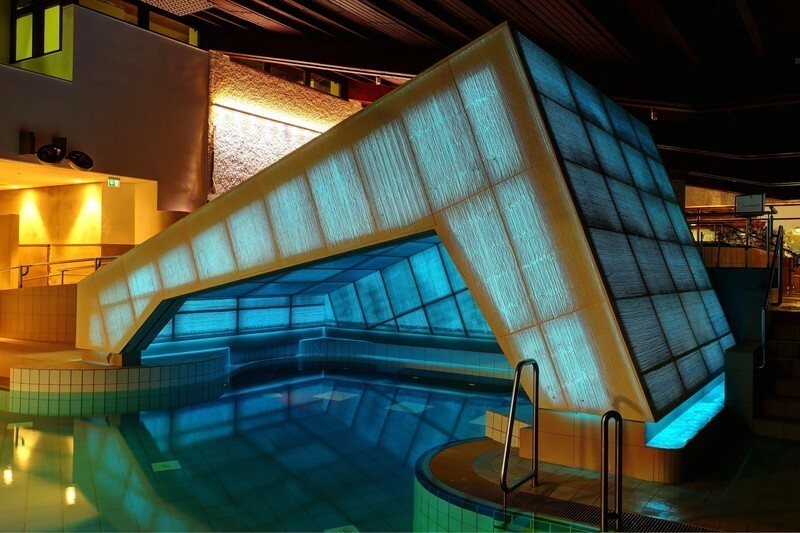 The 30 mm thick LUCEM light concrete panels are mounted on a steel structure above undercut anchors. 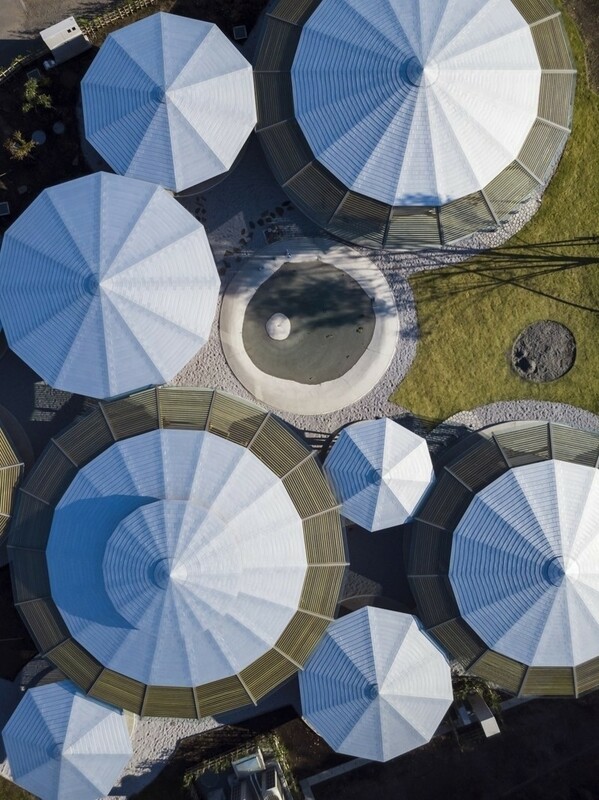 The design was based on the idea that nature flows through the staircase in the form of light and shadow plays. 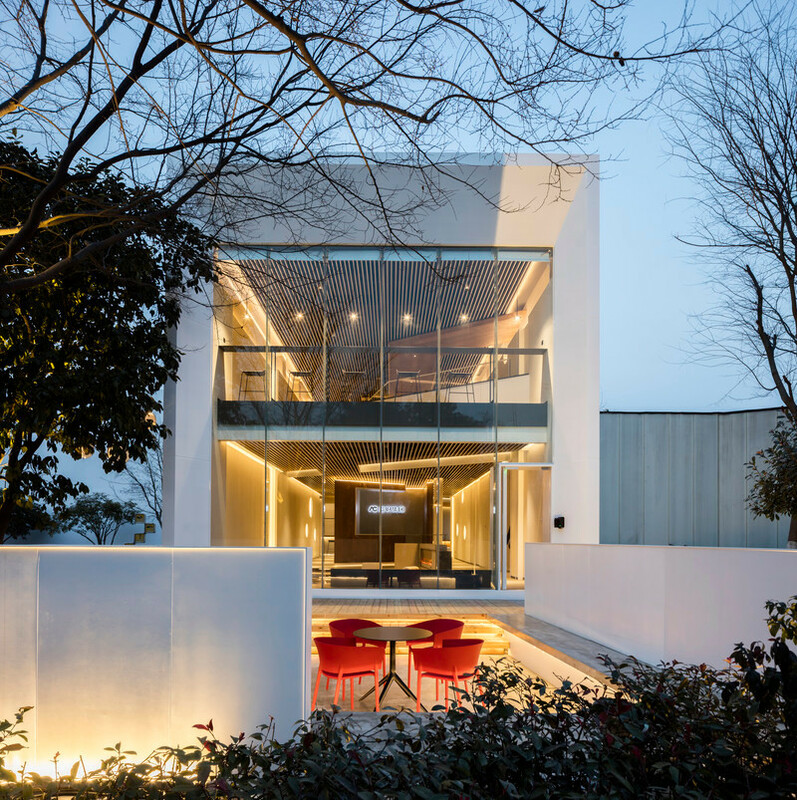 With the use of translucent light concrete, the architects and lighting planners are setting a striking example of how external walls can dissolve the contradiction between massiveness and lightness through translucency. 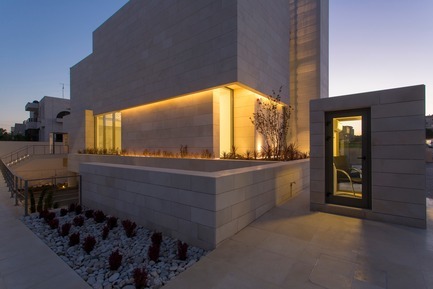 Not backlit, LUCEM looks like light concrete or natural stone. This is matched in color to the façade of the bank. When light concrete is backlit by sunlight or artificial light, millions of embedded optical fibers transmit the back-incident light through the material. This creates a translucent look and an exciting light and shadow effect. 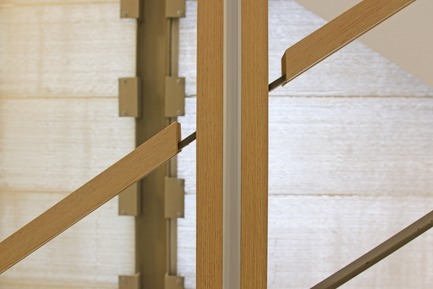 During the daytime, the stairwell is illuminated by the daylight that falls through the light concrete walls. At twilight and at night, the stairwell is lit from the inside. 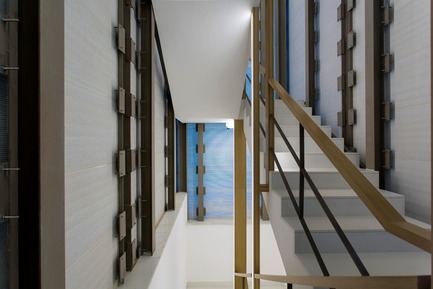 As the light is transmitted through the fiberglass walls through the optical fibers, the stairwell appears translucent to the outside. 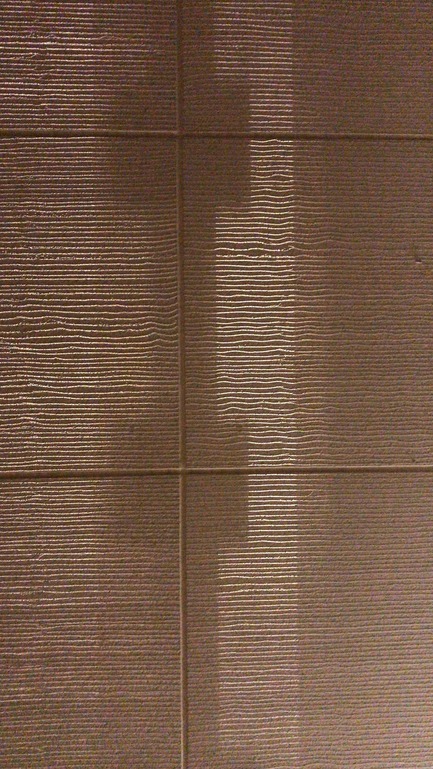 People in the stairwell are projected as shadows through the light concrete walls. 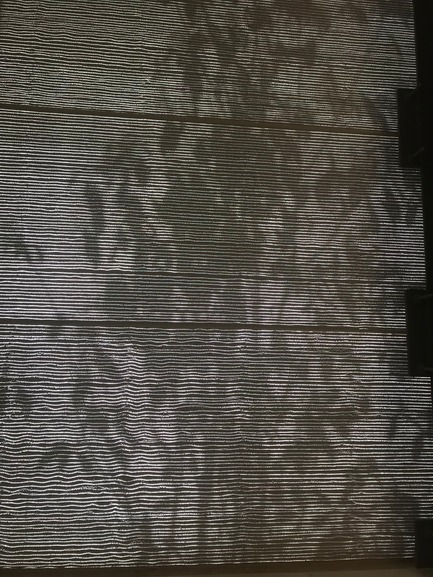 The closer people walk along a wall, the more accentuated the shadow falls. The vertical LED stripes are integrated over the entire height of the stairwell in the design of the handrail of a steel/wood construction. 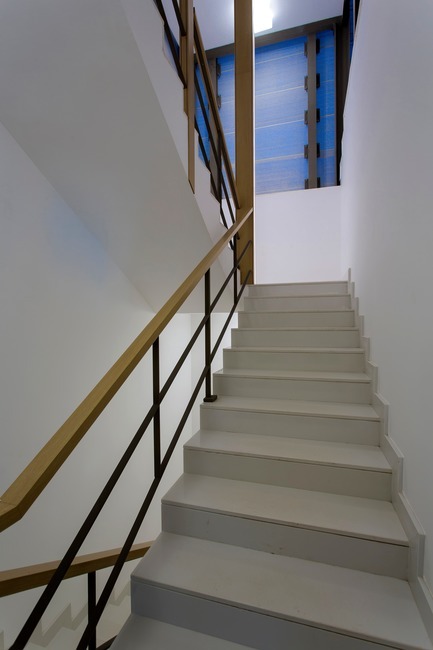 In the case of colored lighting, the stairwell shines outwards accordingly in colored light. 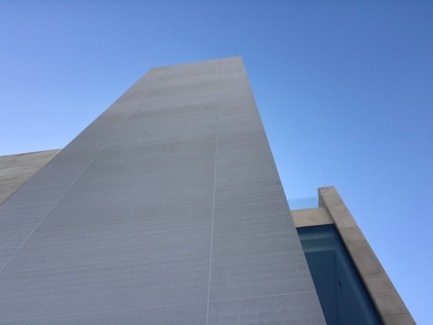 In addition to the use of translucent LUCEM light concrete panels, the team of architects decided to use LUCEM PURE concrete panels without fiber-optic fibers to cover non-translucent areas of the façade. 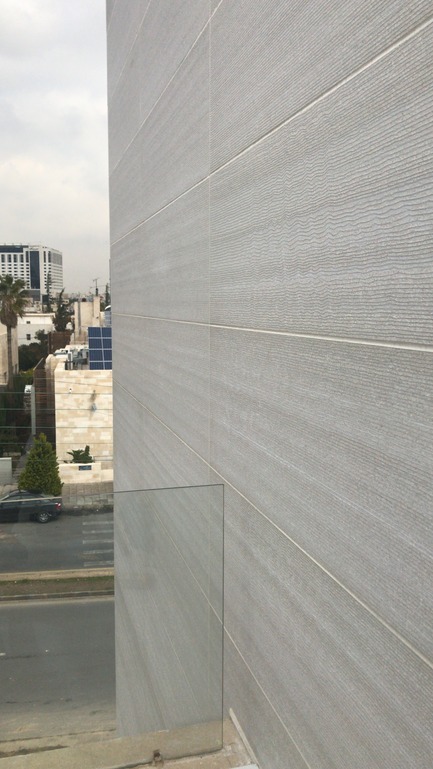 This results in a combination of translucent and non-translucent LUCEM concrete panels with the same cement/sand mixture and surface finish in the same look. 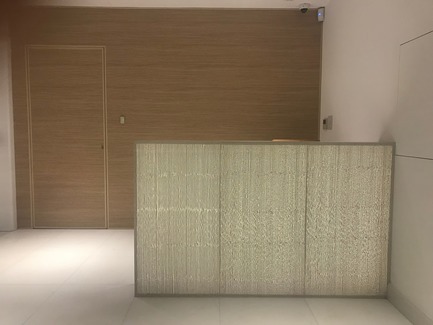 In order to give the interior design a “boutique” character, the traditional banking concept has been replaced by an approach that is privately, exclusively and individually tailored to the needs of VIP customers. 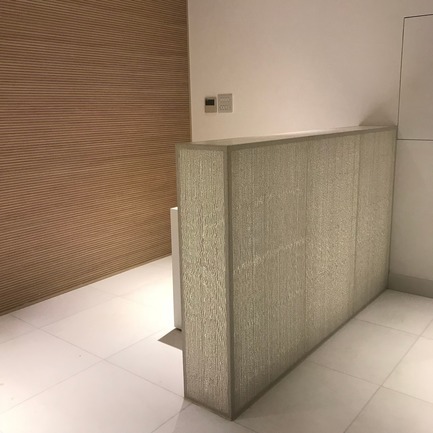 The switch and waiting areas with traditional queuing concept have been replaced by individual office “boxes” as well as lobby and reception areas, which are tailored to all customers’ needs. 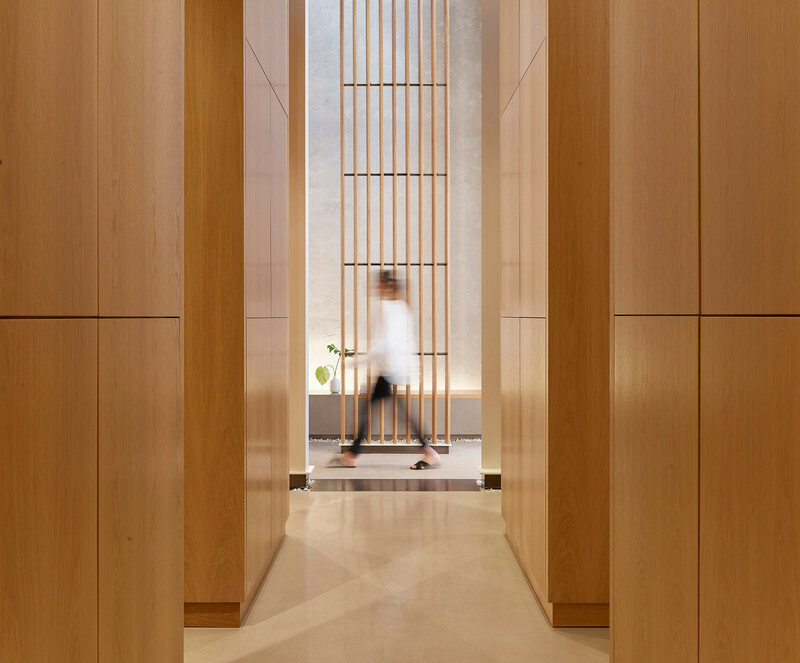 The theme of nature has been integrated into the design by designing an open-plan courtyard inside the building, which is inspired by the design of Japanese Zen gardens. 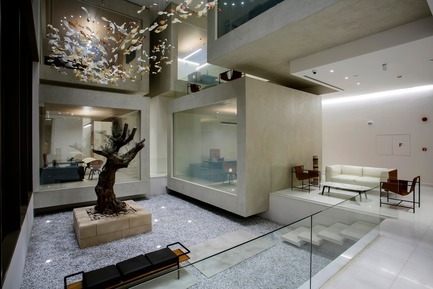 A modern crystal chandelier, like an artistic installation reminiscent of fluttering birds, fills the center of the room almost to the ground. 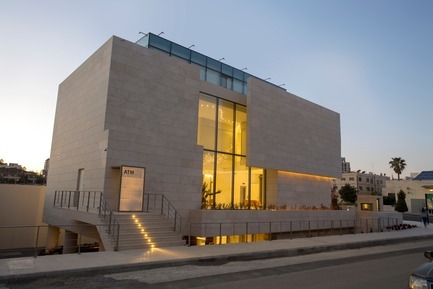 A sculptural-looking olive tree forms the optical center. 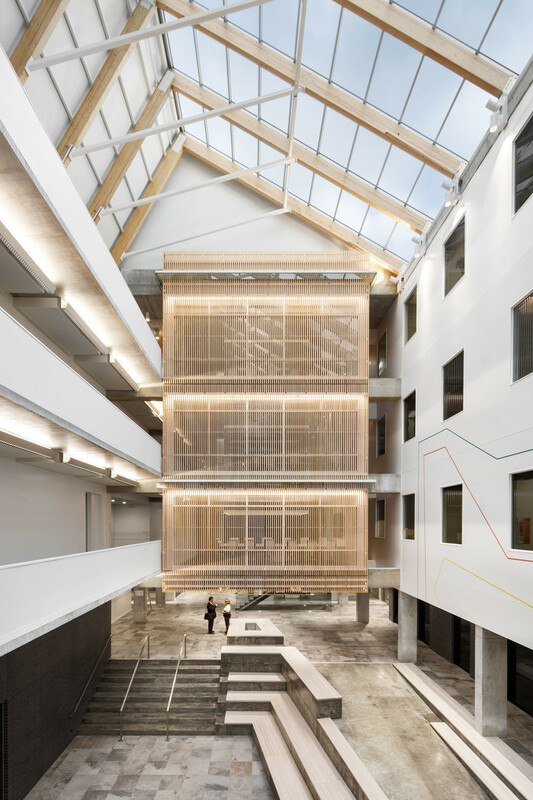 The offices, lobby areas, staircases and corridors around the courtyard have a fascinating view through glass walls and glass balustrades. 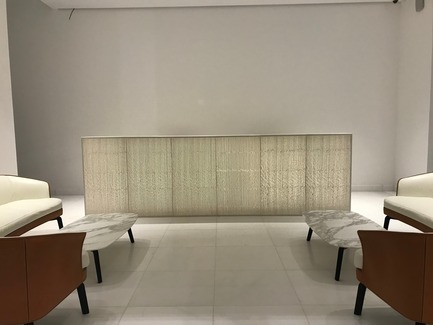 In lobby and reception areas, the counters are also made of LUCEM light concrete panels. 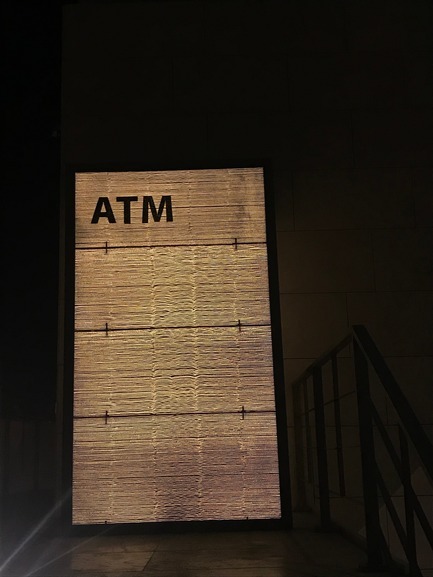 The ATM areas inside and outside were also designed with a backlit translucent concrete wall. 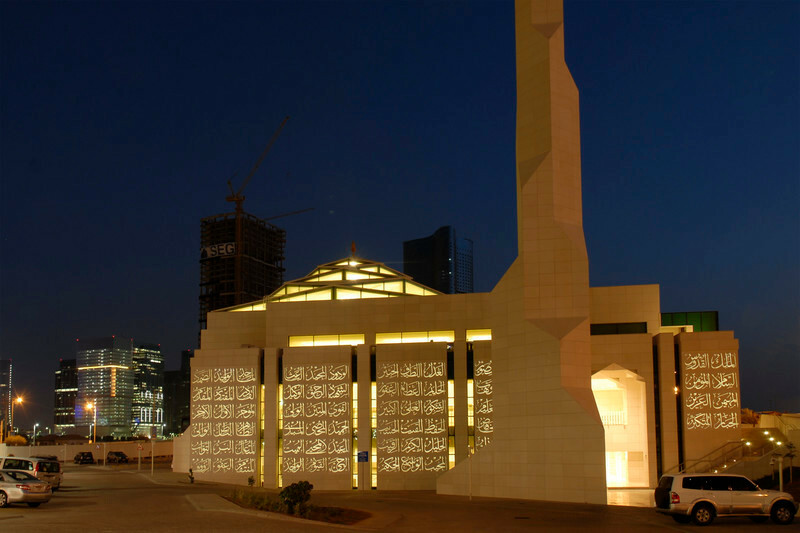 LUCEM produces and provides light transmitting concrete panels for international projects including fixing material and LED technology.